Continuing in his family's tradition, for the entirety of his thirty-nine year career in the practice of law Dave has dedicated himself to the representation of law enforcement officers through the State of Colorado in all facets of police litigation. 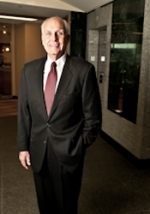 Marc began his legal career as a prosecutor in 1979. However, shortly thereafter he was appointed as the Legal Advisor to the Chief of Police of the Aurora Police Department. 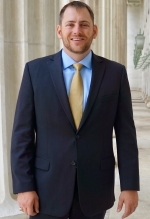 Marc ultimately became the Director of the Civil Litigation Section of the Aurora City Attorney's Office, personally focusing primarily on the defense of claims asserted against the City of Aurora's law enforcement employees. Michael initially joined the firm of Bruno, Colin & Lowe as a law clerk, becoming an associate attorney for the firm after passing the bar. Michael has thus focused his practice on the representation of public safety employees for virtually his entire legal career. A trial lawyer appearing primarily for the defense, he deals with the unique complexities of representing public safety employees in civil, criminal, and administrative cases. David is an experienced trial attorney who represents public safety employees in civil, criminal and administrative matters. David joined Bruno, Colin & Lowe in 2014 after spending the first ten years of his career as a criminal prosecutor. 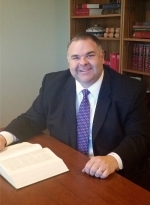 David has litigated nearly every type of criminal case from DUI and complex child abuse cases to Colorado Organized Crime Control Act (COCCA) and First Degree Murder. 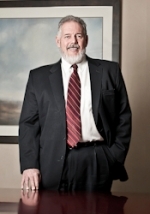 David brings this vast litigation experience to bear in seeking the best possible outcome for his clients. 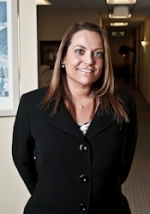 Graduating high school at the age of 16, Carrie found her passion for practicing law at an early age. Fueled with the determination of success, she worked through college to begin her legal career as a Deputy District Attorney for the Adams County District Attorney’s Office. Here she witnessed first-hand the critical role attorneys play in ensuring justice for all parties in need of representation. 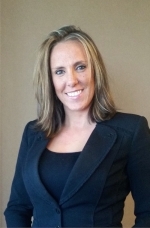 Carrie has taken more than 75 jury trials to verdict and was named “Prosecutor of the Year” in 2012. Her love for prosecution work eventually gave way to a desire to represent the rights and interests of law enforcement officers. In 2013, Carrie left the District Attorney’s Office to join the legal team of Bruno, Colin & Lowe, and her strong legal background and significant litigation experience allow her to vigorously defend police officers and public safety employees. Law enforcement officers deserve the same high-quality legal representation as the criminals they arrest, and Carrie is dedicated to that cause. Determining early on her interest in the legal field and law enforcement, Jamie served as an Honors Intern with the Federal Bureau of Investigation in Washington D.C. and a Legal Intern with the Federal Bureau of Prisons, South Central Region in Dallas, Texas. Jamie previously practiced as a Deputy District Attorney in the 18th Judicial District and an Assistant City Attorney for the City and County of Denver. 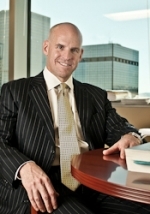 Jeff first joined Bruno, Colin & Lowe, P.C. as a law clerk in 2014, becoming an associate attorney for the firm after being admitted to the bar. 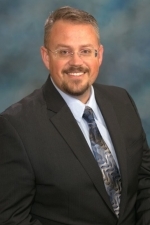 Bringing with him close to a decade of combined prior experience as a United States Marine and law enforcement officer, Jeff brings a personal focus and understanding to the unique aspects of representing public safety employees in civil, criminal, and administrative matters. Jeff's lifelong commitment to public service naturally led him into this practice area that he feels so strongly about, representing first responders. Jeremiah joined Bruno, Colin, & Lowe, P.C., as a law clerk in 2015 while attending the University of Denver, Sturm College of Law. Jeremiah brings with him more than 15 years of law enforcement experience in Colorado. Jeremiah is uniquely suited to the representation of Bruno, Colin, & Lowe clientele. Drawing on those front-line experiences, Jeremiah strives to achieve the best possible outcome for his clients.